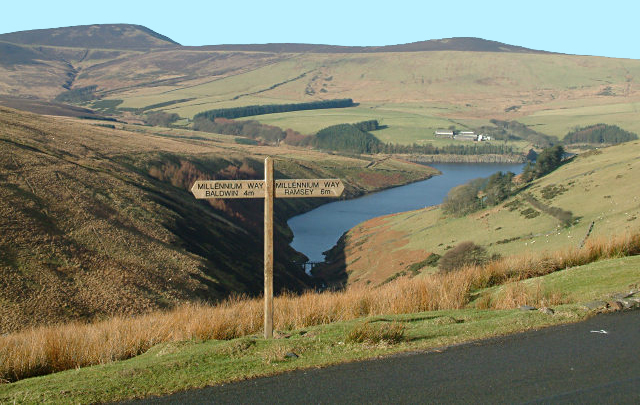 The Millennium Way was developed to celebrate the Manx Millennium in 1979, the 1000th. anniversary of the establishment of Tynwald, the Island’s Parliament. The walk is based on an ancient ridgeway route which was known as “Via Regia” the Royal Way, along which the former Kings of Man travelled from Ramsey to Castletown, the former capital of the Island. This is recorded in the 13th Century Chronicles of the Kings of Mann and the Isles. The Way crosses the island, climbing to open heather moorland on the western slopes of Snaefell to reach the Way’s highest point at 1,500ft. From here it descends to Crosby and follows lowland paths, roads and the banks of the Silverburn river through Ballasalla to the medieval castle of Rushen. This route can be walked by the experienced hiker in a full day. For the less experienced walker, it can be split into two or three sections. There are convenient points along the way where you can stop at a café or use the local transport. This walk contains some steep climbs but you are rewarded with fantastic views across the Island such as the flat plain of the Ayres, to the North. There are 46 geocaches along its route from Ramsey to Castletown and in each one there is a unique two letter code. 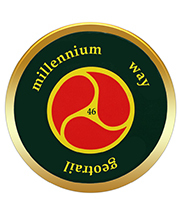 Download the Millennium Way Geotrail Passport here and follow the instructions on what to do next.